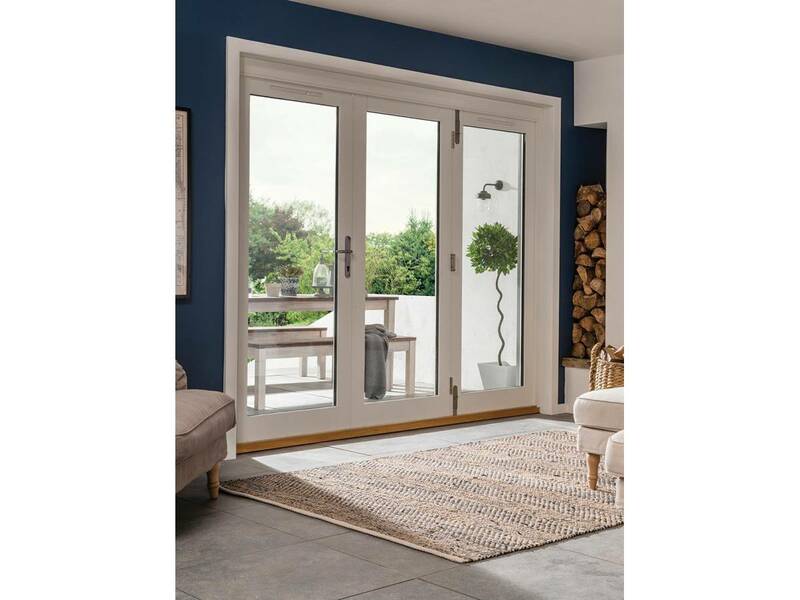 NEW DOOR, FREE DELIVERY sent direct from the supplier to your address within approx 7 working days. Mainland UK addresses only. See note below for additional items. This is available in 7 sizes, please choose from the drop down menu at the top of the page. All sizes are 54mm thick. 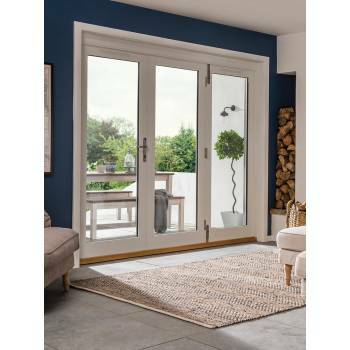 Hardwood patio door set. Door set U value = 1.7/m22K. Glazed with 28mm clear glass. Please state at the checkout your choice of door configuration. IMPORTANT NOTE: If you purchase other items to go with this then you will receive 2 separate deliveries on different days and times. Due to this being sent direct from the supplier, we do not carry the stock here and, therefore, we cannot offer collection of this item. 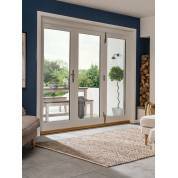 *these door configurations can be locked from the inside only, supplied with thumb-turn locks.